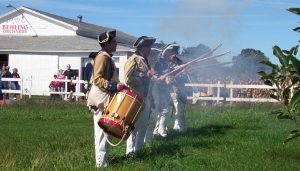 MEXICO – Continental Arms Collectors Association will hold its annual Revolutionary War Encampment at Behling’s Orchard, Potter Road, Mexico, on September 18 from noon to 4 p.m.
Pictured, at last year’s event, the unit fires one of its many volleys. 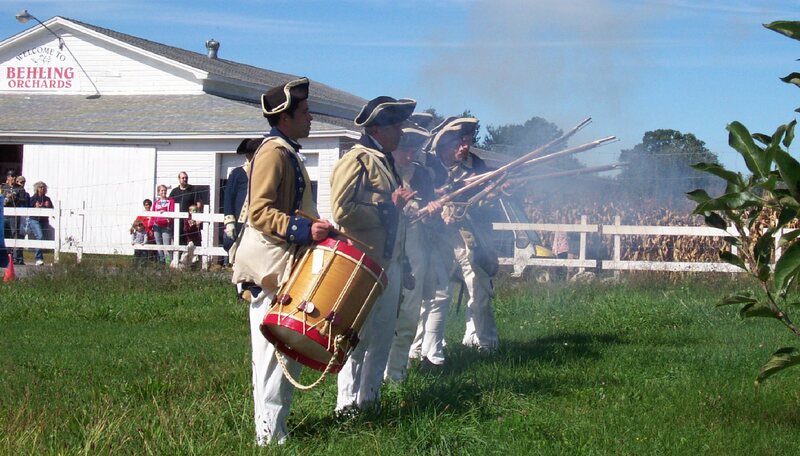 The association’s Revolutionary War Unit interpreting a company from the 1st New York Regiment, Continental Army in 1782, will perform military drills and music against a setting of tents for enlisted men and an officer. A kitchen fire with a covered exhibit of cooking utensils and hearty fall food offerings will be displayed. Food preparation, cooking and nursing will also be interpreted.